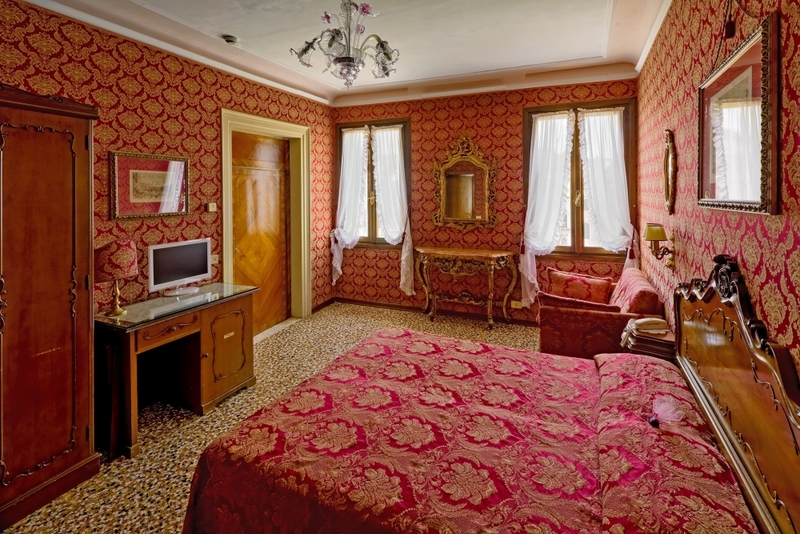 Room equipped with one matrimonial bed and one or two single beds. 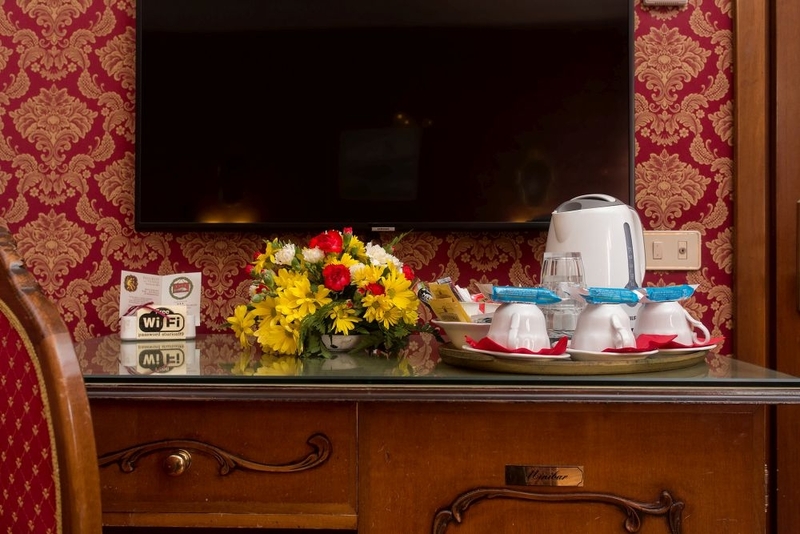 LCD TV with satellite channels, safe, free tea-coffee-kit and minibar (on payment). 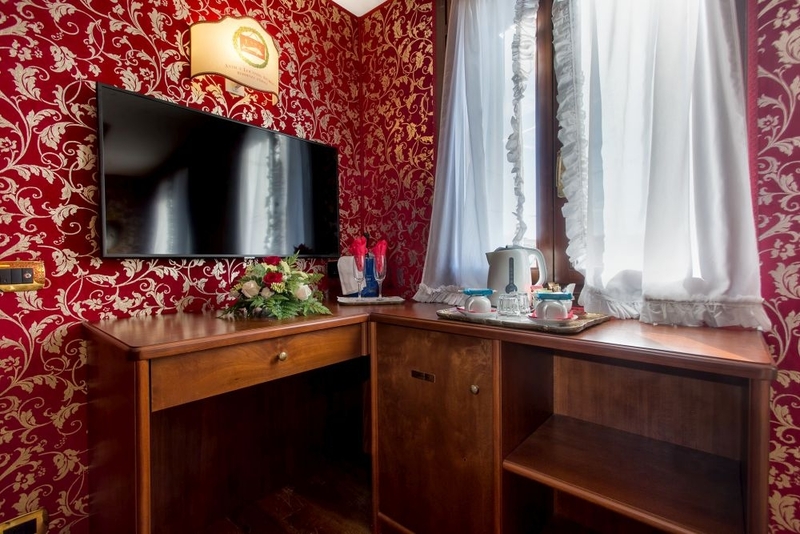 Heating and A/C (available from June to September). 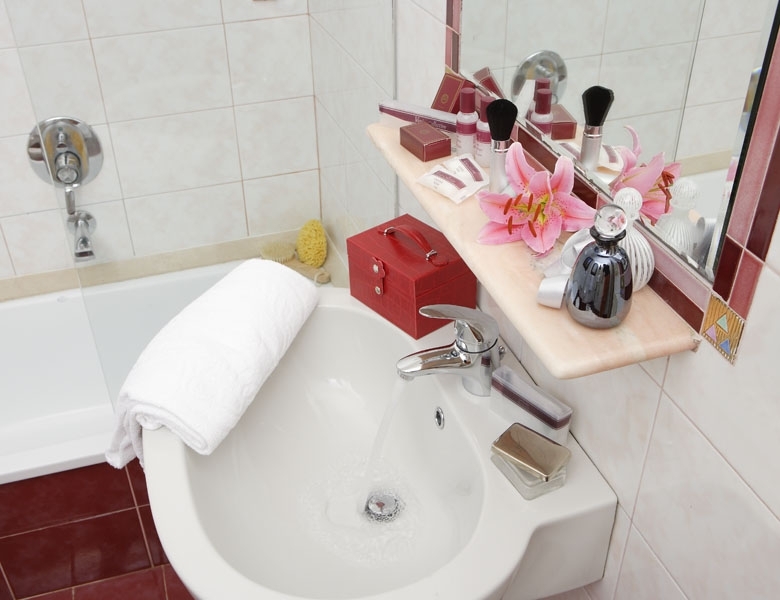 Bathroom ensuite with hairdryer and Courtesy kit. 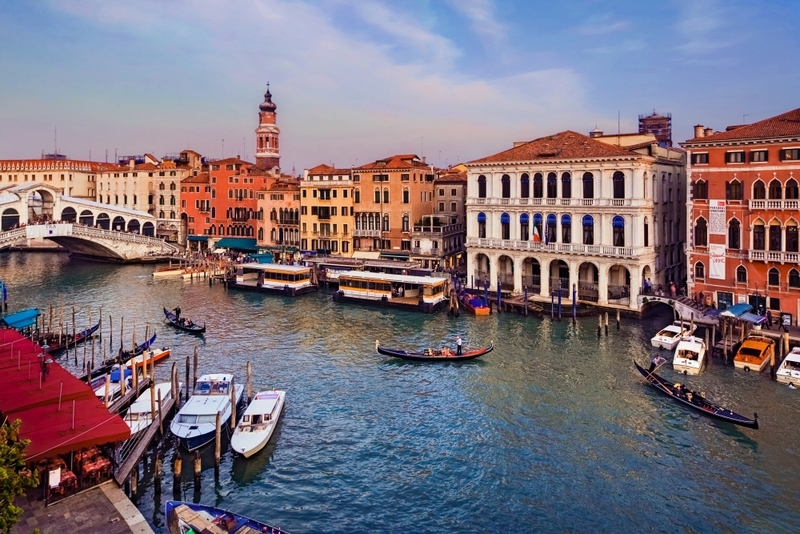 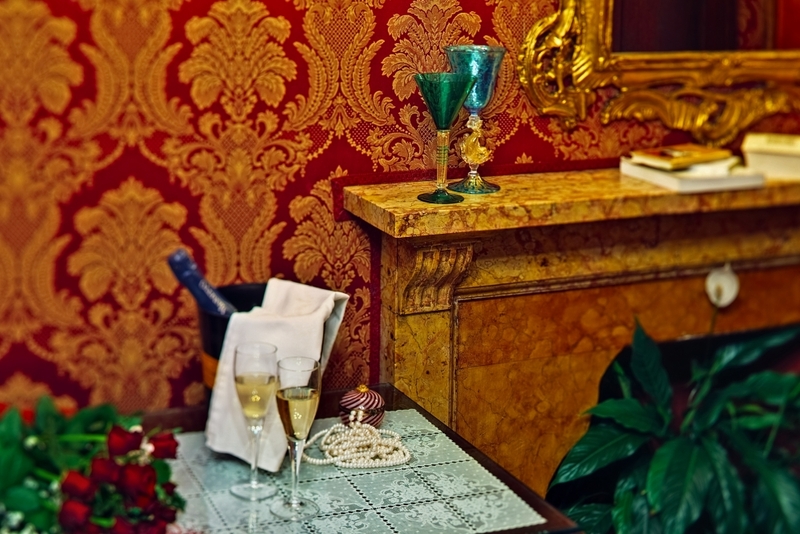 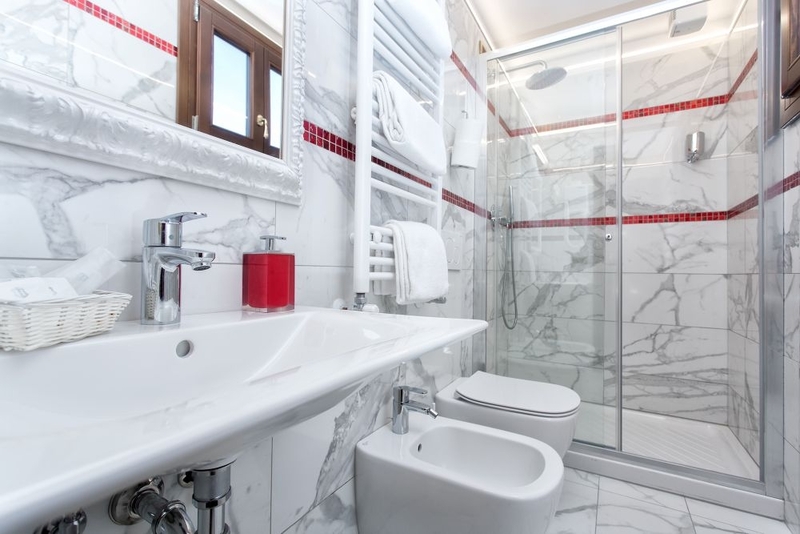 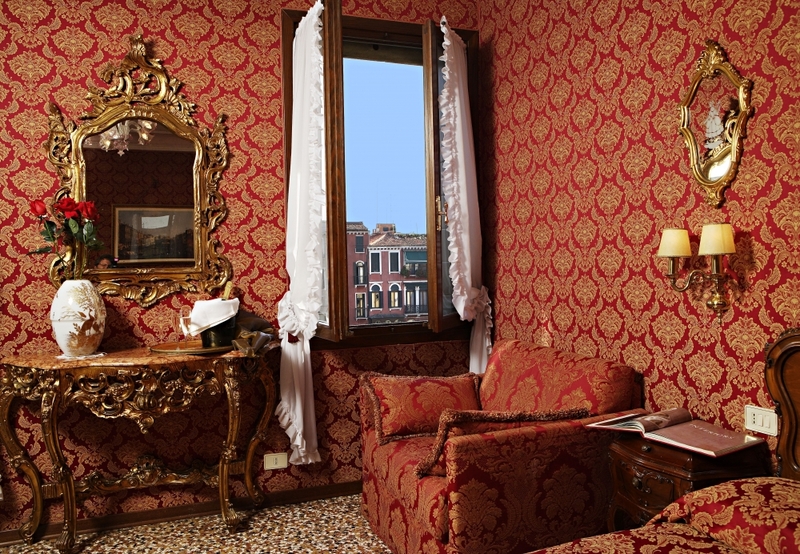 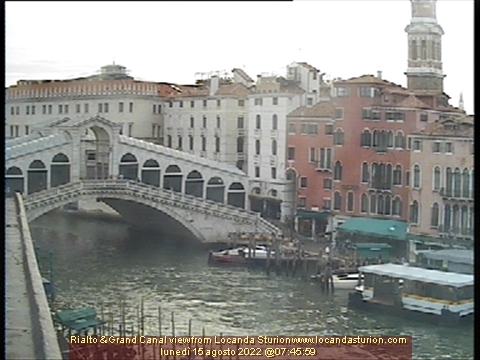 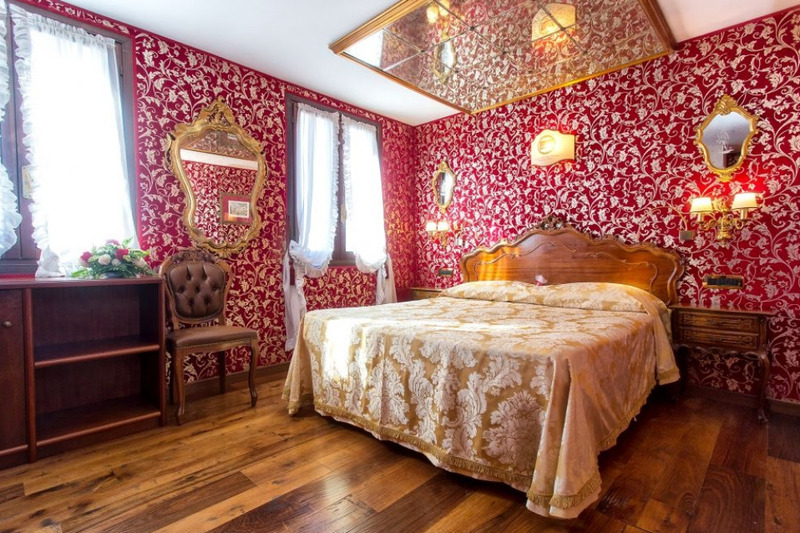 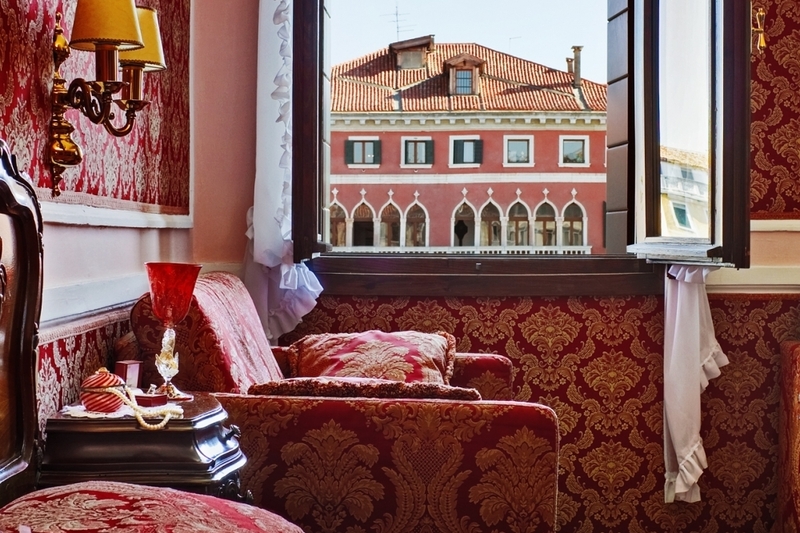 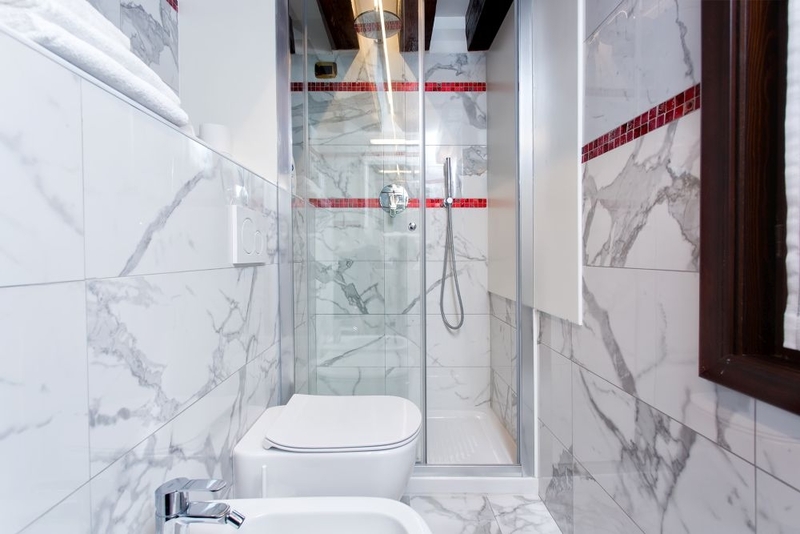 This is the right choice for the most demanding guest, that wants to admire Venice from a window on the Grand Canal. 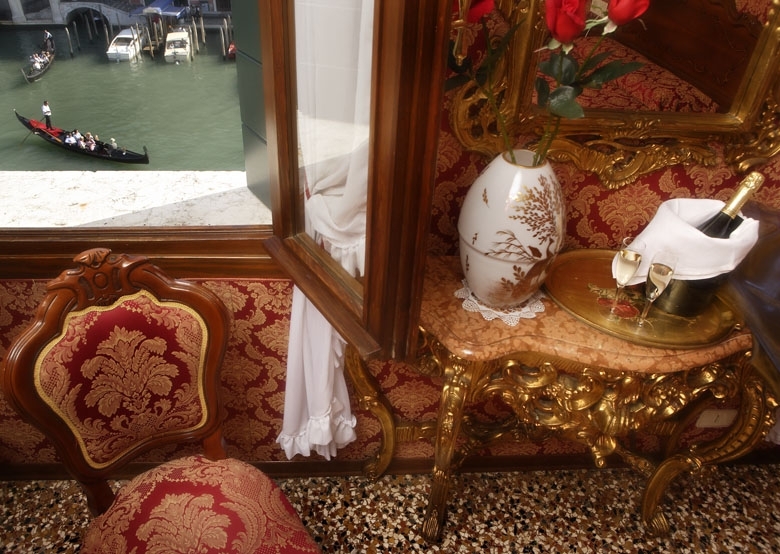 Ideal for special occasions or romantic trip. 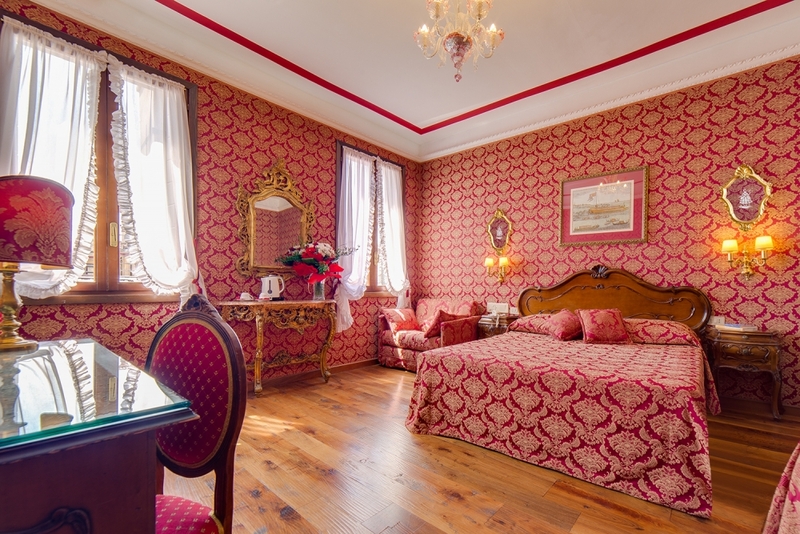 Room equipped with one matrimonial bed or two single beds. 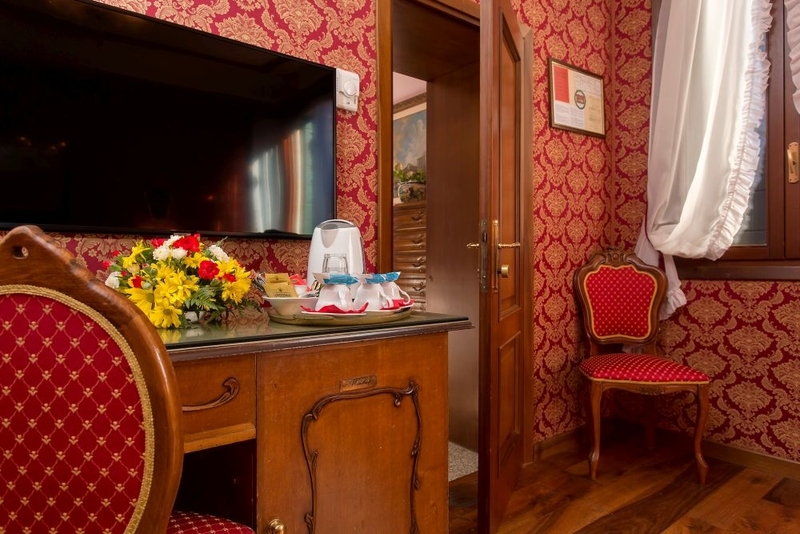 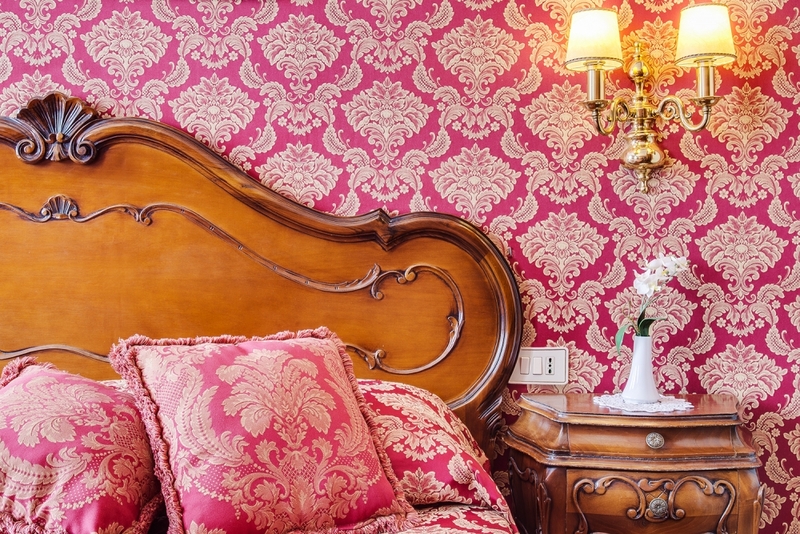 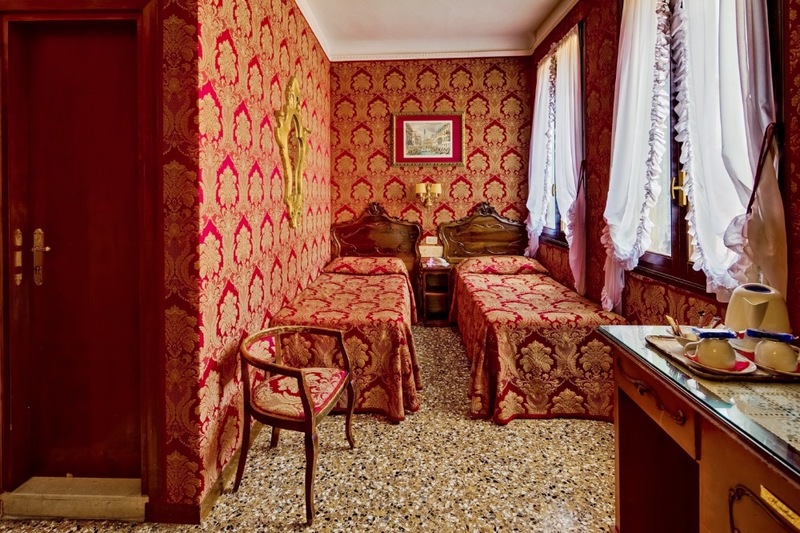 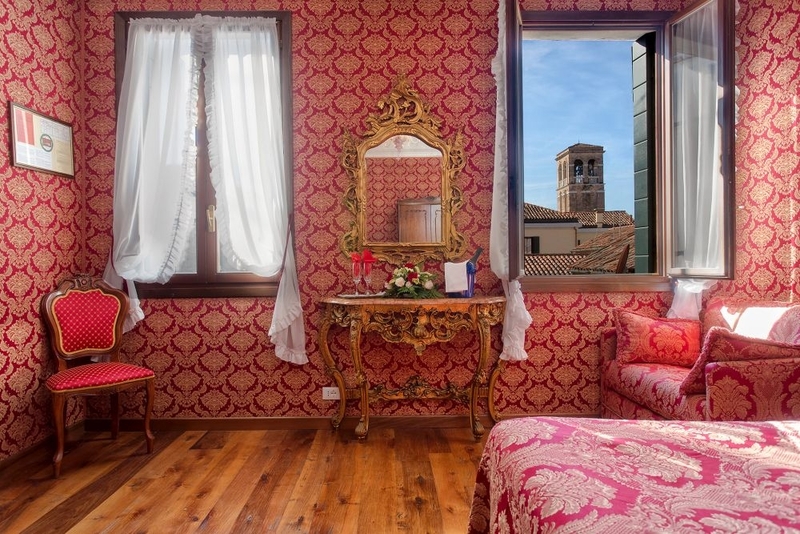 All the Charme Double rooms are located on the third floor with view on "Calle dello Storione" that takes the name from our historical hotel. 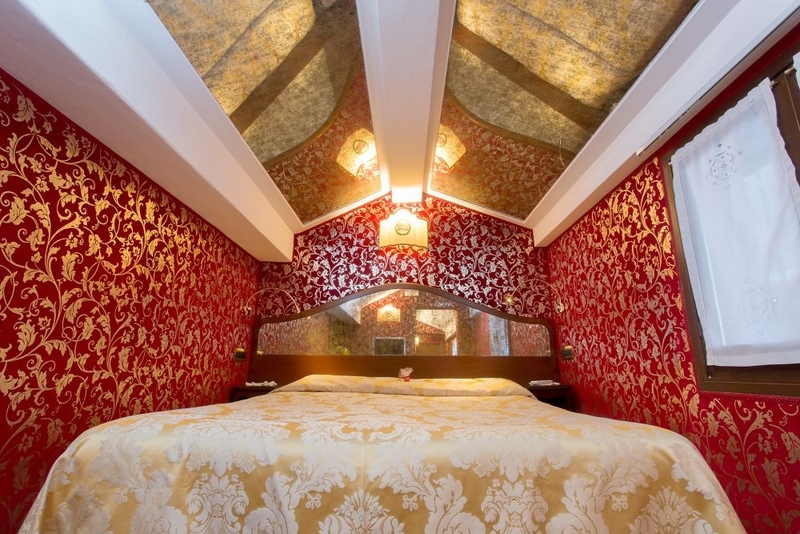 Room equipped with one matrimonial bed and one single bed. 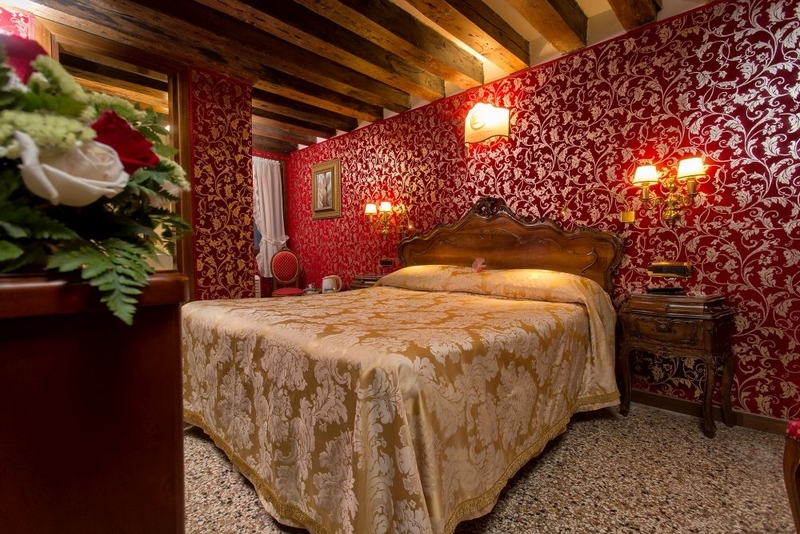 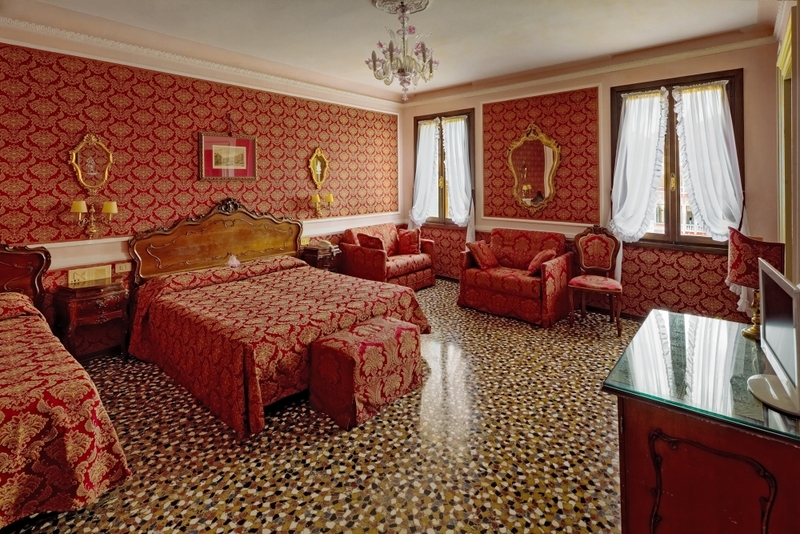 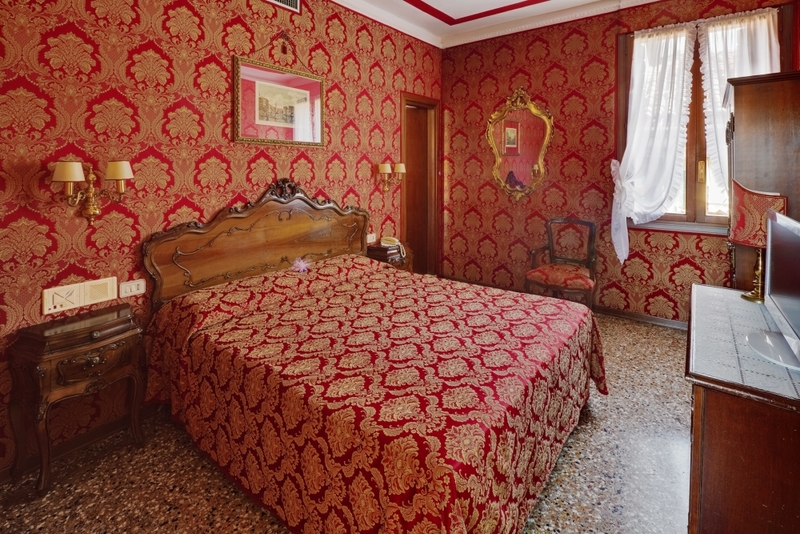 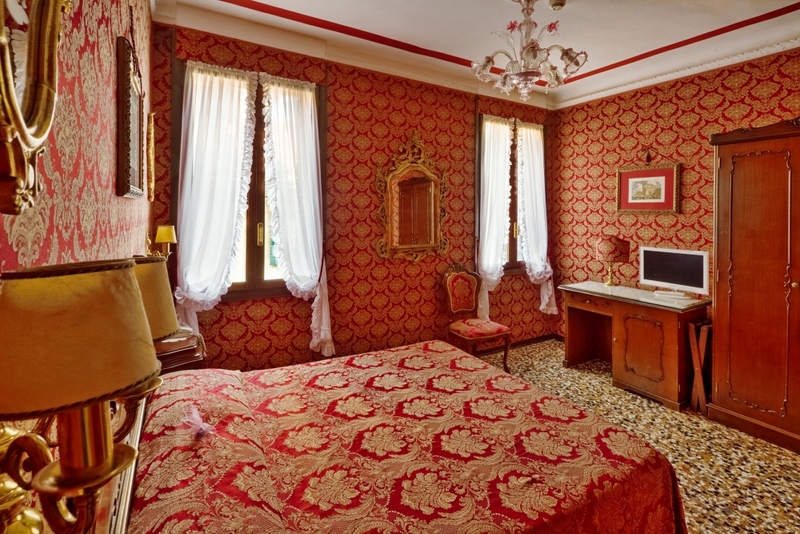 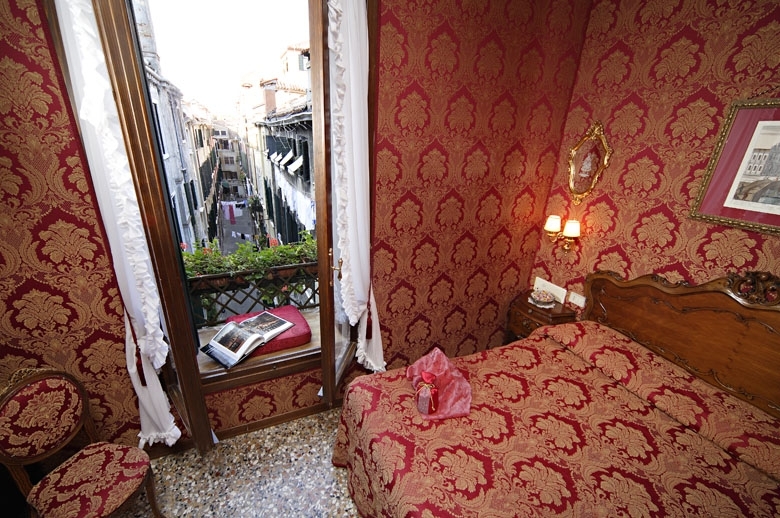 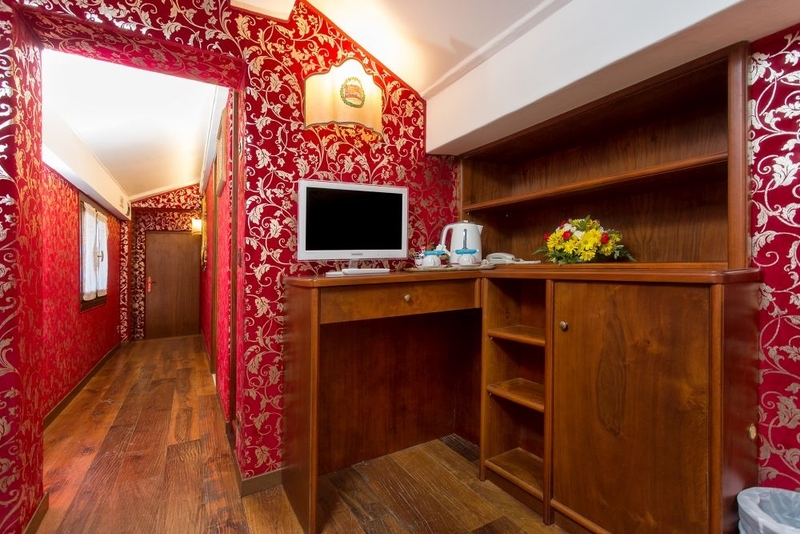 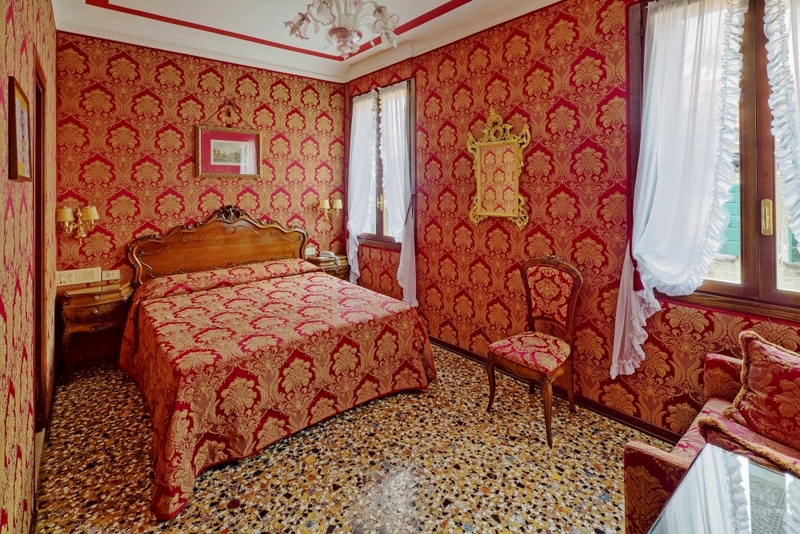 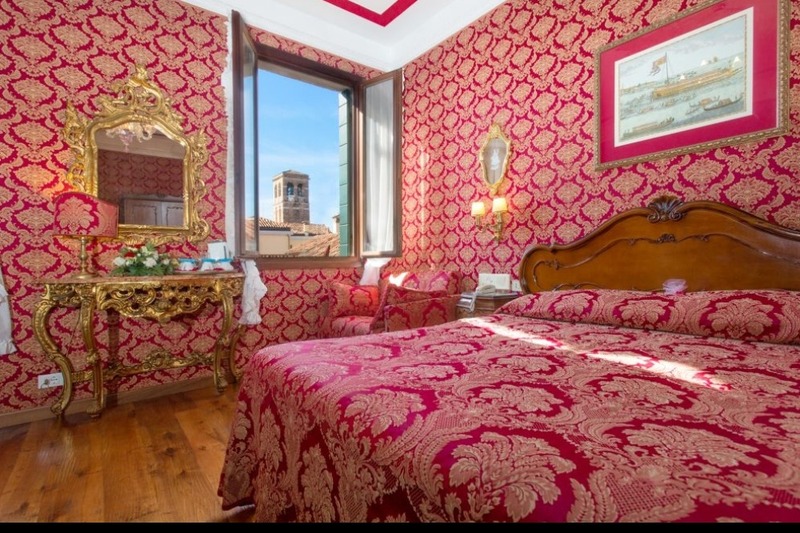 This is the room with Best Value-for-Money with view on Rooftops or Typical Venetian street named "Calle"